I’m thankful for the State of Ohio and every one of our leaders. I’m thankful for a God so big, that even in difficult times, we can have peace knowing that He is on the throne. And I’m especially thankful today to be a part of a movement that is growing and pressing onward into the future. 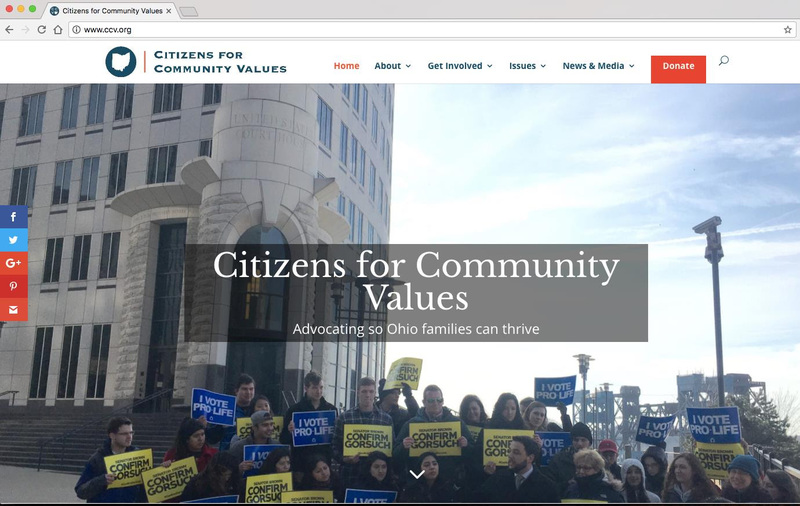 That’s why I’m thrilled to share with you two BIG updates from Citizens for Community Values. Along with this new logo, we’re also rolling out today our new website! This new mobile friendly site allows you to stay up to date with all the latest from CCV. On a personal note – one year ago this month my friend Phil Burress retired and I became president of this blessed organization. I remain grateful for CCV’s Board’s confidence, and the support of people like you who made this incredible first year possible. There is a lot of work to do to continue to advance the pro-life, pro-family, pro-freedom movement in Ohio. With your help and God’s grace, we will see this work grow and succeed.